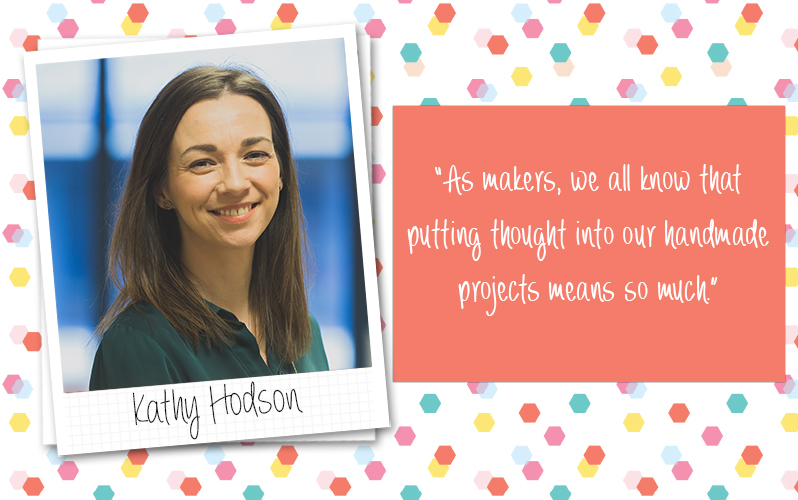 It’s time to pop on the kettle and catch up with Kathy as she tells what she’s been up to on Create and Craft and what she has been making at home! March is always a mad but marvellous month as I have several family birthdays, Mother’s Day and Easter celebrations to prepare for. And this year I’ve also had three product launches on Create & Craft TV so it’s been all go! When I make cards, I like to make them personal to the recipient. As makers, we all know that putting thought into our handmade projects means so much more than the gesture of simply giving a card. For my brother’s birthday last week I used his love of vinyl as inspiration and created a musical easel card using the First Edition Black Out papers and some silver mirror card. I also sneaked in a couple of the new sentiment dies that will be launching on Create & Craft TV on Monday. He has also recently moved into a new house so I dusted off my Foil Machine and created a personalised card using the map of their home with a copper foil sentiment. I think the thing I love about making my own cards is that I know the recipient isn’t going to get another one the same. I’ve also been busy making Mother’s Day cards as a few of my friends have asked me to make cards for them. Again, my trusted Trimcraft stash came to my rescue and I turned to one of my all-time favourite First Edition paper pads – Paper Flowers. I made a few variations of a similar card design and for my own card, my Mum will be getting one that I made using the intricate Craft a Card dies. Finally, I have been busy preparing samples for Create & Craft next week. The dies that are launching on this show are going to be ones you turn to again and again. With useful sentiments and alphabets combined with baby and wedding themed dies I expect they’re going to be very popular. I can’t wait to prepare my demos with these amazing dies and am very much looking forward to sharing them with you on Monday. Love your cards and I can't wait to see what's new on Monday! Looking forward to your shows Monday on Create and Craft. You have a wonderful on-screen presence and I am always inspired by your demonstrations. Great projects, Kathy. The Painted Blooms papers are gorgeous!